I know it is a bit late for a “thankful” blog entry, after all, people now are more concerned with camping out at their favorite stores to find the best deals for holiday shopping than they are about contemplating thankfulness. But I am thankful for a whole lot more than I have been in quite a while. Actually, I’ve been pretty grateful and thankful for quite a while. Even during my more than two and a half years of unemployment I was hopeful and fairly optimistic that I would eventually find a job, and grateful and thankful for what I did have. Two and a half years is a very long time to be without work and to remain optimistic in that time took considerable effort. But I did not give up. I was able to overcome quite a bit. Two years ago I even wrote that I was thankful for many things, despite my situation. This year I am thankful for those same things, but also so much more thankful for two things in particular. One of those things is a new job. I’ve been working now for about three weeks as the editor of the Central Valley Business Journal. It’s working out well, I think. My bosses appreciate my expertise and seem genuinely pleased that I am there. It is not my “dream job,” but does that sort of thing really exist anymore? There is a chance that I would not have gone after or accepted that job if it was not for my girlfriend, Brenda. She is the one thing for which I most grateful this holiday season. I am very happy that she is in my life. We’ve been dating for a bit more than six months now. In that time she has been consistently encouraging and supportive and far more confident than I that I would find a job eventually. She was very caring in her encouragement. I am not sure I would still be in California if it were not for Brenda. We make each other laugh and it is very easy to be with her. She is intelligent, bright, pretty, cute, funny, and able to laugh at herself. She is a former teacher currently working as an aide on buses transporting developmentally disable adults while she earns her master’s degree in education. She longs to be back in the classroom and I hope that happens for her sooner than later. She and a co-worker go to thrift stores to buy lightly worn jackets to give to people in need who cross their path. She made me tear up with pride when she told me that she could not give me the leftover roast and vegetables she had promised me because on the way to my apartment she spotted a homeless teen in need and gave him the food instead. She is supporting her very bright, intelligent 18-year-old daughter while she earns her GED. Her son is a police officer and I know Brenda worries about him and his future. She is a caring daughter to her parents, one of whom is in the early stages of fast-acting dementia. She has so much going on in her life, but she is able to find room in her heart for me. For that I am very thankful. It has been a very long, winding, tumultuous two and a half years of unemployment since March 2009 when I was laid off from The Record in Stockton, Calif. It has been a very difficult time for so many people, including and especially those in the newspaper business. But I’m starting a new job on Monday Tuesday – a 60-day trial as the editor of the Central Valley Business Journal, a monthly publication with offices in Stockton and Modesto. I am extremely grateful for the opportunity and confident that this will be a good fit. I get the feeling that the Central Valley Business Journal hasn’t had true editorial leadership in some time, so even small improvements in the publication will be noticeable. I have never been a business writer/editor before so the experience will be challenging in that respect. I haven’t been the sole editor of a publication in quite a while, so it will be challenging in that respect, as well. And I haven’t had to get up early for work in quite a while, so that will be pleasantly challenging. I have written here in the past of the complete emotional toll unemployment takes on a person. You lose your self-worth, self-respect, and sense of self. Friends and family who haven’t been through the situation cannot truly understand what the unemployed go through, but they still offer suggestions – “You know what you really should do is …” – of actions already taken time and time again. They mean so very well and knowing that kept me from screaming just a bit. Prospective employers reject you simply for having been unemployed. And society turns an uncomfortable cold shoulder to those of us who were unemployed for so long. My girlfriend, Brenda, has been very supportive and encouraging through the past few months. I thank her for helping me maintain my enthusiasm for, well, everything and for encouraging me at every step. She is solidly in my heart. 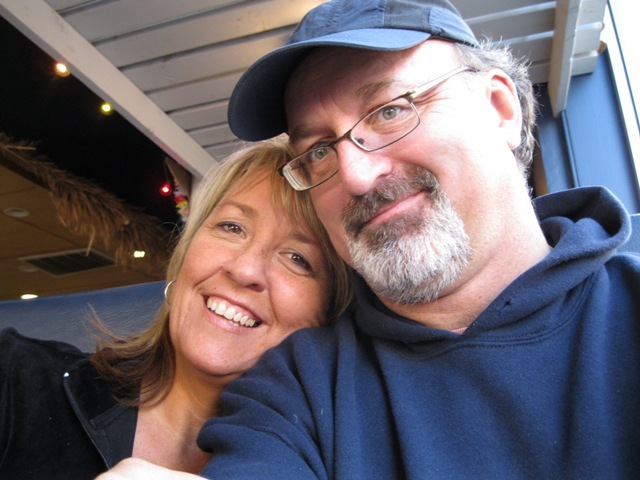 Long-time friends – especially Teresa, Rick, and Michele – have provided part-time work, room and board, beer and tequila, laughter, and encouragement. I do appreciate everything they have done for me in the past two and a half years. Other friends, those not so “long-time,” also have provided encouragement and even groceries from time to time. For those veggies and peppers, Kathi, I am grateful. And I thank those Facebook friends who over the years have helped me maintain my sense of humor, perspective, and sanity, who have provided encouragement, job leads, and a place to vent. Thank you. And now a new adventure awaits! I’m excited for it to begin. I haven’t written here much in the past month or so because of a project that has kept me from the job search and from blogging, except for shorts burst on Coffeehouse Observer. The project involved fact checking several chapters of a travel guide due out next year. The travel guide publisher has promised me more work and the editor just emailed me about two projects. I could use the money. But now I’m back at full speed, at least on a limited basis. I’m still looking for work and trying to line up freelance gigs to get by. What I really need, of course, is a real job, one with steady pay, some benefits, and some social contact. Things are really rough out there. They just announced that the unemployment rate in California is back up to 12 percent, the second worst unemployment rate in the country behind Nevada. The unemployment rate in the county where I live usually has been about 5 percentage points to 8 percentage points higher than the state level, so I would not be surprised if the unemployment rate here is 17 percent or higher. It is terribly frustrating and unnerving. And very, very scary. It is even more frustrating and more unnerving and scarier when recognizing that the unemployment rate really does not count all those who are out of work, people who have given up looking for work or otherwise are no longer counted by the government. Experts usually say that the unemployment rate is significantly higher when taking into account those people. I am among those people who are no longer counted. That experience is a double-edged sword – I have proven myself capable, which is good for an employer because quality work will be done within deadlines. But I’ve proven myself capable, which is bad for an employer because it will cost the employer more in salary, the employer immediately assumes. I suppose I was good at what I did, but it has been a while since I did what I did. And employers can see that and I fear now that they barely consider my resume. I’ve come to expect rejection, which does little for confidence or morale or feeling of self-worth. I keep plugging away, though. I have no other choice. I ran out of unemployment benefits months ago and cashed in an IRA, the thing money experts – people with jobs not facing eviction or starvation – say never to do. I am living on the money that would have been a portion of my total retirement. Another portion is left in investment accounts that are dwindling with each dip of the Stocks Exchange. I will never retire. Certainly, not in the conventional sense of “retire.” But then again, there is nothing conventional about what some of us are experiencing. So I continue the job search. I continue to look in my field – journalism. So if you know of any openings in journalism – editing, writing, blogging – or freelance opportunities, you can get in touch with me via the email address under my contact info. And I also look for jobs with nonprofits, green industry, colleges and universities, and occasionally government. I also look for delivery jobs and general labor jobs and retail jobs and … well, you get the point. I suppose that’s it for now. I just wanted to let you know I’m still around, still kicking, and still very hungry to get back to work. Today I had the very shortest job interview I have had in the past two years while on this quest to rejoin the ranks of the employed – five minutes. Crazy! Five minutes? Why bother? Last week I applied for an editor’s job with a weekly newspaper in the Napa Valley region of Northern California. It is the region that is famed for its wine and food industry, as it should. But because of the high cost of land for growing wine grapes and other agriculture, land and property are at a premium. That, in turn, drives up the cost of everything, but especially housing. According to a cost-of-living calculator on the Sperling’s BestPlaces website, the community in which the weekly newspaper was located is about 50 percent more expensive than Stockton, where I live now. Housing alone in the Napa Valley community was 191 percent higher. Figuring I might be able to commute, I ran a few more numbers for several nearby communities. The closest city physically was also the most expensive of the five cities for which I tallied the cost of living compared to Stockton. It was 134 percent more expensive that Stockton, with housing being 515 percent – 515 percent – higher than in Stockton. Using my most recent salary, the calculator computed that I would need to make $83,826 just to live in the community where the paper was located and maintain my Stockton lifestyle, which by no means is lavish. It’s Stockton, after all, the same Stockton that Forbes named “the most miserable city in the nation” for the second time in the past three years. The human resources representative conducted the telephone interview called right on time today, we exchanged pleasantries and she outlined the initial questions. It was only then that she noticed that my salary requirements – the salary I had made in Stockton without adjustment it for the Napa Valley cost of living – was $10,000 to $15,000 higher than the salary they were offering for the position. To be clear, they were offering $30,000 to $35,000, which would be plenty to live on in many regions of the country. But not for Napa Valley. The company that owns the weekly newspaper owns newspapers throughout the country. I know people working at newspapers owned by the company and I have applied for jobs at the company. I won’t use their name or the name of the newspaper, because I may end up applying again for a job with the same company. But I wonder now if they use a one-salary-fits-all-regions formula, which just does not work. A person doing the similar work, say, in the Southeast does not need as much money to work, live and play as does someone living in the outrageously expensive Napa Valley. If the company is using a one-salary-fits-all-regions formula for setting salaries, they really ought to change that. The human resources representative apologized for not noticing the gap between what they were offering and my salary requirements, and said she would call me back should the situation change, which she added was unlikely given what the person leaving the job had been making. A 5-minute job interview. What a crazy, winding road it has been. Crazy. Of course, a modern gift for the second anniversary is China. Today I am “celebrating” a second anniversary that is not worth any of those gifts. Today marks two years since I was laid off from work after 22 years in journalism. It has been a time of disappointment, discouragement, loss, fear and sadness. It also has been a time of growth, I think. But someone else can judge that, because “they” always do. I do not want to belabor this whole unemployment thing. (Or should I write that I do not want to belabor the lack of labor?) I already have written about losing my job and the struggles searching for a job for which a prospective employer likely looks at me as “overqualified” – and, therefore, thought to want a large salary that would cause a strain on his or her budget for wages – or “undertrained” – which is probable for anyone born in a time when televisions still used tubes, not transistors. I continue to be frustrated in my considerable effort to find suitable work. I continue to apply for openings in journalism since that is the vocation for which I am trained. I also look for employment with nonprofits, environmental and green industries, colleges and universities, and local, state and federal governments. But news about the economy is getting better. … Isn’t it? There are 13.7 million Americans out of work. That figure is twice what it was before The Great Recession, but lower than it had been. That is an improvement. … Why does it not feel like an improvement? I have run through my Unemployment Insurance benefits and now I am living on the money from a small IRA. I do pray – I have been doing more praying – that I will find a job before that money runs out. Not really sure what will happen when I run out of that money, but it very likely will include moving out of California. But I will get by. Somehow. Anyway, I really did not want to spend too much time at this. The second anniversary really does not mean anything. Not really. Maine unemployment rate drops in October | Bangor Daily News. I had a fairly good telephone job interview this morning, despite equipment problems on both ends. And despite me stumbling over some of the questions. Some of the problems started this morning when I tumbled out of bed and checked my cellular phone to make sure that it had charged overnight. I was immediately troubled to see no bars, not one. Yes, I do sometimes have extended conversations with myself. Laptop and cell phone, check and check. Cell phone bars, not so check. Still no bars. So, off I went for the Starbucks. As I drove closer, I checked the bars and the signal seem to be coming in strong. Great! I circled the Starbucks in the Miracle Mile in Stockton and head back to my apartment to go over notes before I planned to return to the Starbucks in time for my interview call. Funny thing, though, as I drove back to the apartment – I started getting more bars. Eureka! A strong signal. Perhaps, just, perhaps, T-Mobile fixed the glitch and I’ll be able to receive the interview in a non-stressful environment sitting at my writing desk in the living room of my apartment. There I sat for more than an hour going over “20 Most Asked Questions In A Job Interview” – of which, the interviewers would later ask only one of the “20 Most Asked Questions In A Job Interview” – and tried to relax just a bit before my 9:45 a.m. call. Everything was going well enough when I took another look at my cell phone at 9:30 a.m. and – PANIC! No bars, again! Ugh! I parked in the same spot I had earlier, but the cell signal was at only two bars. I didn’t want an every-other-word experience during the interview. I drove around the block trolling for a stronger signal and found one – very nearly in the same spot I had been before going around the block. Time: 9:44 a.m.
OK, quick drink of water. Pull out the computer for the notes on the “20 Most Asked Questions In A Job Interview.” Pull out the pad of paper to write down the names of the people on the search committee conducting the interview. Go online for a quick check of email. Nothing. Great! Well what else can go wrong? I tried dialing back a couple of times, but all I got was the ear-piercing tone of a fax machine. Great! OK, don’t panic, don’t panic, don’t panic … DON’T PANIC! Oh, wait, the phone’s ringing again. One more attempt to call them. More piercing sounds. OK, OK, OK, I’ll shoot an email to the person who arranged the interview. Under the circumstances, maybe – just maybe – we can reschedule the telephone interview. OK, don’t panic. Let it ring again. “Hello, Keith. Sorry for that bit of technical problem …,” said the woman on the other end. Sheesh, that was close. I’ve been out of work for 20 months now and I cannot afford to miss an interview for any reason. The half-hour interview went well enough, I think, especially since it took place over the phone as I sat in my CRV with a laptop balanced on my knees. I stumbled on a few questions. It’s a marketing job and my experience is in straight-up journalism, but several of the interviewers have newspaper experience, so they may have cut me some slack. They gave me verbal feedback and laughed where they should have, so it wasn’t all bad at all. The job would be with a leader in its field and I think skills I honed as a columnist, opinion page editor, editorialist, and essayist could come in handy. The problem would be in having time to write about all the positive aspects. That’s a bit of a change considering all my work experience is in newspaper where much of the news is not good. Well, I’m crossing my fingers. It appears it will be about 30 days before I find out if I was selected, so I’ll be patient and continue my search in the meantime. 25,000 Mainers may lose their jobless benefits | The Kennebec Journal, Augusta, ME. Today marks 20 months since I was laid off. There are times it feels as if it happened just yesterday. Or a million years ago. And there are other times when it feels as if this is all part of a very, very bad nightmare from which I will awake. Eventually. Soon. … Anytime now. In those 20 months I’ve sent out hundreds of resume packages, filled out countless applications, and uploaded my resume onto dozens of websites. I put in at least six to 12 hours every day seeking suitable employment. I look and look and look. I network. I blog. I lament. And, so far, that effort has resulted in a handful of face-to-face interviews, a couple of phone interviews, and a few thanks-but-no-thanks rejection letters. As it has been for so many Americans – still nearly 15 million Americans, in fact – finding work as been elusive – frustrating, maddening, demoralizing – and it doesn’t seem as if things are getting much better. The national unemployment rate is stuck at 9.6 percent and I live in a county in Northern California where the unemployment rate hovers at 16.6 percent. I blame the Republicans. I blame the Democrats. I blame Wall Street bankers. I blame greedy industrialists. I blame everyone, including myself. After all, I should have peered into a crystal ball and seen coming the collapse of the newspaper industry – and the housing industry and the automobile industry and every other industry that isn’t Facebook, Google, Apple, Microsoft or … . Well, you get the point. I blame myself because while I was working for a living, I neglected to take time off from work to train to be proficient in the latest necessary skills I might or might not need sometime in the distant or not-so-distant future. Of course, “the latest necessary skills” fluctuate every couple of years so I suppose I could have worked for a year and taken more time off for training in “the latest necessary skills” and continued that cycle. But no. I worked. For 22 years. In an industry that continues to undergo convulsions. And now I have little to show for those 22 years of hard work. No income. No health insurance. No prospects. And dwindling hope that I will find a new job before my Unemployment Insurance benefits expire at the beginning of 2011. In the past 20 months people have told me “You have to reinvent yourself,” “You have to be entrepreneurial,” “You have to start your own business,” “You should write a book,” “You should …”. You get the point. All great ideas, but reinvent myself into what? I don’t even balance my checkbook, how could I be an entrepreneur or start a business? And don’t people realize how many books are written and how very few are actually published? But even after all the disappointment, all the setbacks, all the failed efforts, I still believe I can contribute in some way. I continue to seek suitable employment in newspapers or using my skills working for a nonprofit or in green industry or government. I keep seeking any escape from the way things are now so that I can get my life back on track. I continue to follow the mantra – one step forward every day. One step forward today, tomorrow and the next day. In ancient tales of pirates and their bold deeds, the ribbon of the stories’ plots with few exceptions twirled their way to one common element – booty. Treasure, buried or otherwise – that’s the booty. And with few exceptions, a map to the booty included an X to mark the location where the booty – the treasure – could be found. X marks the spot, the saying goes. Inevitably, the map was either faked, or the X really didn’t mark the actual location of the treasure or mutiny and treachery prevented story stakeholders from learning the final disposition of the buried booty. Or there was no treasure in the first place. Of course, in most cases X didn’t actually mark the spot. Instead, it symbolized other things – greed mostly, but also dreams, aspirations, hope, and, since we are talking pirates, lots and lots of grog. For me, however, an X this week meant a completely different thing. It means that thread-worn safety net called unemployment insurance – simply UI for those of us unfortunate to have needed it – is coming to an end. Without further congressional action, many of the 15 million Americans out of work will also be out of luck. 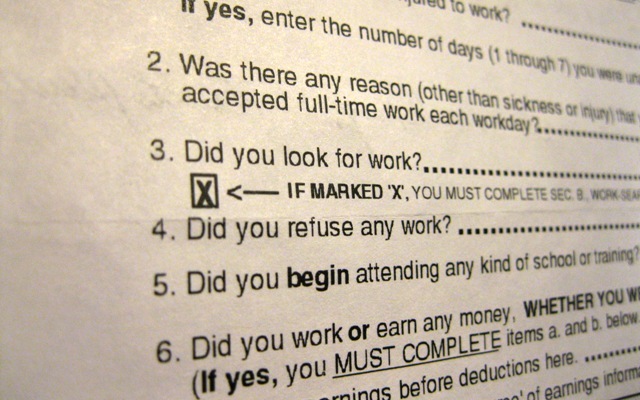 You see, there is a box on the front of unemployment insurance continued claim form, under question No. 3, to be precise – that until this point had gone unfilled. The unemployment rate had been so high, the extensions coming, and other factors, that people legitimately out of work did not see the X in the box. The EDD knows that looking for work does not always mean an opportunity to fill out an application. But the requirements are what the requirements are and it means added anxiety and pressure to find at least three jobs each week for the form. I wish there was buried booty where X marks the spot, but there is not. Where the X marks the spot are renewed feelings of failure, demoralization and concern for what the future may bring. It brings crashing down the house of cards that is the UI stopgap measure. Here’s a sidebar to this whole thing. My latest continued claim form arrived last week, which was followed earlier this week by a form letter informing me of the number of employer contacts I needed to make each week – three. The problem: The second form arrived too late for me to make adjustments for the first week, a week in which I applied for one job, but had a couple of phone interviews. The “three employer contact” rule seems reasonable – my personal goal each week was to apply for at least five jobs – but out of fairness to the claimant, the information should come along with the continued claim form. I tried calling EDD to address my concerns, but calling the toll-free number led to a recorded message that provided another toll-free number, which led to another recorded message, that provided the first toll-free number. That, my friends, is a bureaucratic merry-go-round. There were no obvious options to be directed to a live person – although I since have been told that I should have dialed the first number and punched in 0 for an operator – so I went to the EDD website and used their online “Contact EDD” form. The reply – who in this country uses “thank you kindly” – failed to answer any of the questions I poised in my email to EDD. I suppose I’ll do the best I can to fill out the form this time around and pray that I am not determined ineligible. If I am determined ineligible, I suppose I could always search for buried treasure. … Now, where did I put that eye patch. Labor Day a holiday for nearly 15 million unemployed Americans? Labor Day is set aside to honor the working men and women who built this country with their brains, their brawn, their ingenuity, and the sweat from their brow. It is a time to recognize those workers and their accomplishments, grand and not so grand. But I really don’t know how to feel about Labor Day. The past few Labor Days have been different for me and many more Americans. There are 14.9 million Americans who are not working, who are not laborers. For the past 18 months I have been among the unemployed. Is Labor Day a holiday for those of us who have no work at which to labor? Sadly and unfortunately, this day is not for them. The only thing a long weekend does for one of those 14.9 Americans is take away one more day for searching for a job. I have written about my own personal struggle to find work since I was laid off 18 months ago – the frustration of few jobs and even fewer interviews, innumerable rejections, the agonizing struggle simply to pay the bills, the demoralization. Those who know me have been kind and supportive. The reaction from others has been mixed. Some are going through the same struggles and have voiced support. Others take on a tone that much of my struggles are of my own doing. I take comfort in the former because from the beginning of this journey I knew that I was not alone and that being laid off was not my fault. I ignore – mostly – the latter because they don’t know me and don’t know what I’ve done. Like most American children of the time, there were chores at home and a first “job” mowing lawns. It wasn’t a big operation, mind you, just me and a lawnmower. No need for business cards. A few years later – I must have been 16 or 17 at the time – I was hired to work at a local sawmill pulling green chain. Pulling green chain means pulling and sorting green lumber of all dimension and length as it is sent out of a sawmill on a chain conveyor system. Mind you, pulling green chain comes before the lumber has been dried in a kiln. The lumber contains a very high water content and is several times heavier than it will be once it has been dry kilned. It is hard work, trust me. I was a carpenter’s assistant the summer before heading off to college. Once there, I sold athletic shoes part time and went to school full time. The following year, I took on two more part-time jobs. I was working three part-time jobs and going to classes full time. Later, after I had transferred to school in California, I worked part time busing tables for a time and at a fast-food restaurant. I also was a member of a firefighting crew for three summers rising from crew member/sawyer-swamper to crew leader by my third season. I also received a stipend for working as the editor of the campus newspaper. In other words, I’m used to working. There was about a month after graduation before I found my first professional journalism job – editor of a small weekly on California’s North Coast. For the next two decades I worked hard to do the best job possible and continued to advance my career. Granted, it was a career in the newspaper business. Unfortunately, newspaper executives failed to see soon enough the Internet for what it could be – a portal to vast profits and ever-expanding readership. But that’s for another rant. I continue to be hard working – from the beginning I made finding a job my job – and in the past 18 months have sent out hundreds of resume packages and filled out countless online applications. No one who has launched anonymous criticism of my past published commentary would have done more or done it better. The problem, of course, is that my hard work is not being compensated. I am not receiving currency for my efforts. I am not receiving the satisfaction of a job well done and much appreciated. I really don’t know how to feel about Labor Day. But I know I will continue moving forward. Each day, another step forward; each day, a chance for a brighter future. And by next Labor Day, I will be working again and looking forward to a three-day weekend to rest from the week’s labors. Next year Labor Day will be a holiday for me. Jobless rate drops in 18 states, rises in Maine – Bangor Daily News. The Reporter was gracious enough to again print something I wrote. It’s a bit more personal than the last piece they published. If that link doesn’t work, try this one. Anger, frustration from longterm unemployment | The Reporter, Vacaville, Calif. There is no feeling quite like the one that comes from long-term unemployment, especially for a person willing, able and hungry to get back to work. Thursday marked 17 months since I was laid off after 22 years in the newspaper business, working as a writer and editor for print and Web sites. At no time in those two decades – actually, at no time in my life – have I felt this demoralized, this useless, this much a burden on society. Never before have I felt such a void of confidence. Never before have I been without health insurance. What? You don’t care if I’m demoralized, lacking in confidence or have no health insurance? Well, then be uncaring enough for every one of the 14.6 million unemployed Americans. I know things will improve. U.S. Treasury Secretary Timothy Geithner wrote so in a New York Times op-ed piece on Monday. But how much longer will it be before the economy really, truly turns around? How much longer will corporate America turn an uncaring shoulder to hard-working Americans who have no jobs? Corporations are holding onto trillions of dollars, some say over concerns about possible future federal regulations. It is hard to believe that U.S. firms can be so callous, so shortsighted. Meanwhile, those millions of Americans – of which 6.8 million are considered long-term unemployed – go without work. Members of that latter group are endangered of becoming unemployable because corporations insist on hiring Americans who are already working or who were only recently laid off and whose skills are considered sharper. I am frustrated and mad that I was laid off in the first place. I am frustrated and mad because my job search has been protracted. I am frustrated and mad because corporations – mostly Wall Street bankers and the like – received huge federal bailouts and then turned around to pay executives millions of dollars in bonuses for finding innumerable ways to charge consumers new fees. I am frustrated and mad that Congress took so long to extend unemployment insurance benefits. Democrats and Republicans alike let down Americans across the land. I am frustrated and mad that the U.S. Federal Reserve is failing in one of its main objectives, zero unemployment. I am frustrated and mad that my next-best option is to clear out a meager personal retirement fund, lean on credit cards, and depend on family and friends who themselves are struggling. Long-term unemployment does more than demoralize the unemployed. It demoralizes their families, concerns their friends and causes worry even among their former co-workers. Long-term unemployment hurts the economy by eliminating consumer spending and making a downsized economy the norm. Long-term unemployment undermines this country by impeding economic recovery. Without care for the unemployed, without job creation, without bold effort by politicians and corporate America, we can expect the economy on all levels to shrink and for unemployment to rise. We 14.6 million unemployed are frustrated and mad, but we lack a focused voice. We, too, must be bold. We must shame the Obama administration, Congress, the Federal Reserve, and especially corporate America to get Americans back to work. There should be no comfort, no vacations, no getaways until the unemployment rate is halved. The author, a journalist for 23 years and Reporter employee from 1993 to 2006, lives in Stockton, Calif.
Republicans block bill to continue benefits for millions with no job | The Portland Press Herald / Maine Sunday Telegram. Maine unemployment rate drops in April | The Portland Press Herald / Maine Sunday Telegram.